Synopsis: When an unscrupulous real estate developer sends thugs into a deteriorating tenement to get rid of the last five tenants, they need nothing short of a miracle to stay where they are. 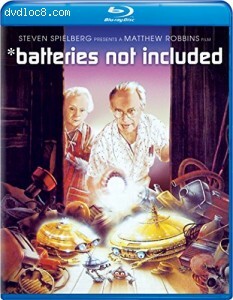 In this delightful fantasy presented by Steven Spielberg and directed by Matthew Robbins, little stands between the brave holdouts and the street. But one night, when all hope seems lost, tiny visitors from outer space mysteriously glide through their windows. As if in answer to their prayers, the incredible creatures begin to turn the tide with their magical powers.